And with its passing, questions linger for as many as tens of thousands of people in the United Arab Emirates who, despite never setting foot outside of the country, are clutching brand new passports from the Comoros Islands, a small archipelago about 5,000km away off the southeast coast of Africa. They were recently promised UAE passports and, along with them, the cradle-to-grave benefits of citizenship: government jobs, plots of land, wedding funds. Some were told they would have the Emirati passport in hand by the end of the holy month of Ramadan, but only if they agreed to assume another nationality in the meantime. The reason for this, officials said, is to legalise their status in the country. But that didn’t happen, and many thousands still hold on to a passport for the four small Islands despite promises of Emirati citizenship. Four decades after the UAE’s formation, human rights groups have estimated that there remain as many as 100,000 “bidoon,” or people born in the country without documentation. Their frustrations with increasingly limited access to healthcare, education and some basic services have made them louder – and at a time in which the UAE is tempering dissent in two ways. The country has shown it is willing to both placate the masses and crush those vocally critical of the ruling family’s wealth and power through sweeping arrests and deportations. The political activists stripped of their citizenship this year are perhaps the best example of just how the country sees its passport as a tool. So, was the government’s promise last month to issue citizenship to those it deems deserving an effort to appease the people, or to silence them? Perhaps the best explanation for the UAE to quietly dismiss its semi-citizens might be to preserve benefits for the small number who already have the coveted citizenship. Plus, the Comoros Islands owes the Gulf a favour, otherwise why would it agree to distribute passports to thousands of people that it does not plan to embrace in any way? Ranked by the IMF as the sixth poorest country in the world with GDP of $614 million last year, Comoros has experienced more than 20 coups and attempted coups since it became independent from French rule less than 40 years ago. It has welcomed help from Gulf countries with open arms, mostly in the form of multi-billion dollar injections from two investment groups: Dubai-based HSS Holding and Kuwait-based Comoro Gulf Holding, which has offices in the UAE. Both groups have injected more than $3 billon together into infrastructural investments, education, healthcare and banking. Dubai World, the Dubai government’s investment company, meanwhile, said in 2008 that it would spend $70 million on a luxury resort development on one of the islands, to be managed by Kempinski Hotels, and would create a tourism master plan for the country with the blessing of the government. The Comoros Islands, the southernmost member of the Arab League, has made the citizenship process surprisingly simple for entire villages of people who have no connection to the country. UAE ministry officials have made visits to communities in the remote northern parts of the UAE, gathering names and later returning with Comoros passports. But some are hesitant to accept citizenship to a country they knew little about. In the Northern Emirates’ Baluchi village in Ras al Khaimah, for instance, people who have named their children after the UAE’s ruling family members are questioning the move. Jalal Mohamad, 26, was among those in the village who seemed torn about receiving the Comoros passport. He was born in the UAE, as was his mother, he told The National. “Before when they suggested we take this [Comoros] passport, we said ‘no’, because we belong in the UAE. Now we say ‘yes’. Citizens with this passport can work for the Government,” he said. In June, a month before the country’s promise to make the process somewhat transparent, theComoros ambassador to the UAE told the Financial Times that a thousand passports had already been handed out to the UAE’s stateless. 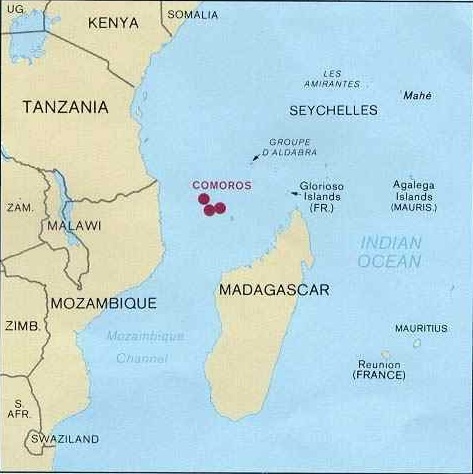 The quiet involvement of the Comoros Islands is a tool to pacify a group of people by giving them citizenship to a country practically owned by the UAE, without sharing the benefits of the UAE. It is also a back-up plan for any of those who choose to make a fuss. The UAE has time and time again said it is wary of outside influence. It most recently launched a public campaign against what it is calling “foreign-linked groups” it fears are infiltrating the country and threatening state security. More than 50 people have been arrested since March, including the lawyers who have represented activists in court. And this month, a handful of rulers and the country’s minister of foreign affairs called for support of the ruling family, seemingly in response to a video (see below) released at the same time by an Islamic political party looking to build what it describes to be a better ruling system. An English translation of this video is available on request. Email rebeleconomy@gmail.com. One thing is clear: the UAE is trusting few. Think tanks and academics have also seen backlash and blacklisting. The polling organisation Gallup and the local branch of a German think tank were shut this year; last year, the Gulf Research Centre was forced out of the country at around the same time the founding dean of the Dubai School of Government was pushed out, and boards of non-government organisations such as the Jurists’ Association and The Teachers’ Association were dissolved and replaced with government appointees. Academics have found themselves frustrated with restrictions on speech, including the economics professor at the Abu Dhabi branch of the Sorbonne University who was among the Emirati activists arrested last year. Matt Duffy, an assistant professor of communication at Zayed University in Abu Dhabi who kept a pointed blog about the state of press freedoms in the UAE, announced in a post Tuesday that both he and his wife found out over the summer that their contracts had been terminated and their visas revoked under the orders of the government. In the UAE’s efforts to continue balancing a sense of security for investors and global markets, it has cast a heedful eye on those it perceives as outsiders – including the stateless. Authorities fear that many are originally of Iranian, Syrian or Palestinian descent who have destroyed their documents in an effort to gain UAE citizenship. Those with the right paperwork, tribal lines and a favourable last name may indeed soon receive the passports that they have held out hope for. But the majority of the tens of thousands without a nationality have just been persuaded to obtain a passport just like the one given to Ahmed Abdul Khaleq, and perhaps even a visa to Bangkok if they still are not happy with the way things are. What will ultimately happen to them is unclear. Still, there are some who are cautiously optimistic. “We grew up here, this is our country,” said Mohamad, the unemployed bidoon in the Baluchi village who chooses his words carefully. “We are from here, my mother was born here. From the first time we opened our eyes this is what we saw. Posted on September 7, 2012, in Middle East and tagged Immigrants, UAE. Bookmark the permalink. Leave a comment.